The popular Facebook-owned instant messaging giant, WhatsApp has been on a roll lately. Especially after the founder Jan Koum left the team, WhatsApp has rolled out back to back updates with new features. Now the platform has also released a new message preview feature in their WhatsApp for Android Beta build. This multi-share feature on WhatsApp for Android Beta will allow the users to preview the text which they share to two or more contacts via third-party apps. Previously WhatsApp had introduced functionality which allowed the users to preview the message or media which they were forwarding to two or more chats. In a separate rollout, WhatsApp has been hinted to be working on a distinct GIF/stickers searching interface which will allow the users to search their favorite stickers quickly. The new WhatsApp for Android Beta version 2.18.366 carries these updates mentioned above to the users. How the Third-Party Share Preview Works? Previously, when WhatsApp Android users were sharing any links or excerpt of text from a third-party application like Twitter, YouTube or other Web Services, then the message was not previewed to the users and was merely forwarded to the recipients. However, as part of this multi-share feature which depends on the Android Native share feature, WhatsApp for Android will now actually preview the message whether it is a link or a text before it is sent to the recipients. The preview message feature was first spotted when WhatsApp was testing it for forwarding texts and messages to the users. Although the update has now been seen only on WhatsApp for Android Beta, it is expected to roll out soon for the stable build of WhatsApp for Android. When you select WhatsApp as a sharing option on a third-party app, then the app will prompt you to select contacts to whom you want to forward the message. 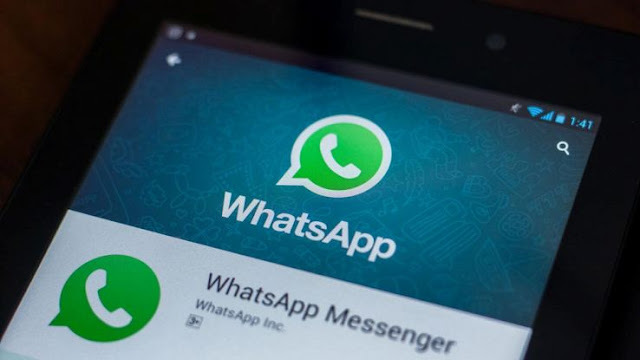 When users choose two or more connections to whom they want to send the text or link, then WhatsApp will preview the concerned text to the sender before finally sending the message to the selected users. The reason why this update and feature is being introduced is so that senders can make sure that what they are sharing with other users is intended for the particular person only. To experience this new feature on WhatsApp, you will need to download the WhatsApp for Android Beta version 2.18.366 by enrolling in the Google Play Beta programme or by directly downloading the APK from APK mirror. This report comes from WABetaInfo, a popular blog posting about updates on WhatsApp. The blog informed about this new feature over Twitter where it also revealed a different GIF and sticker search feature via screenshots. WhatsApp also seems to be working on GIPHY-powered search box where users will be able to search for GIFs easily. Also, a similar feature for stickers search appears to be in the pipeline as well.